Several ports in Florida remained closed on Monday even as former Hurricane Irma, now downgraded to a Tropical Storm, moved on into neighbouring Georgia. Jaxport (in Jacksonville), Port Tampa Bay, Port Everglades and Port Canaveral were all awaiting the all-clear from the US Coast Guard (USCG). 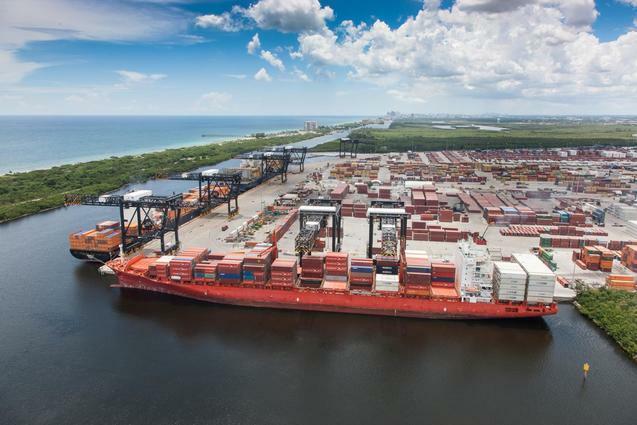 Port Miami said in a statement that it expects to get the USCG go-ahead to reopen on Tuesday although some of its terminals – POMTOC (Port of Miami Terminal Operating Company) and SFCT (South Florida Container Terminal) – may have to wait until Tuesday for inspections to be completed. All told, south Florida suffered less badly than most forecasts had warned, although millions of people lost electricity, transportation was jammed and emergency services were hampered by the extreme weather Irma brought. The road to the Florida Keys was still closed on Monday as work continued to clear debris and make sure bridges along the way were safe. In the US Virgin Islands seaports on St Croix were open and operational on Monday after being closed since before the storm, which was then a Category 5 monster, arrived last Wednesday. While the Virgin Islands Ports Authority confirmed St Croix was back in business, other islands in the chain were less fortunate. St Thomas and St John were severely battered. Many residents of St Thomas have been evacuated to Puerto Rico, which suffered only a glancing blow from Irma. St Croix, less badly hit than its neighbours, was being used as a temporary staging area for relief supplies to the less lucky US and British Virgin Islands. Irma, much less threatening now, was expected to reach Alabama by Tuesday.